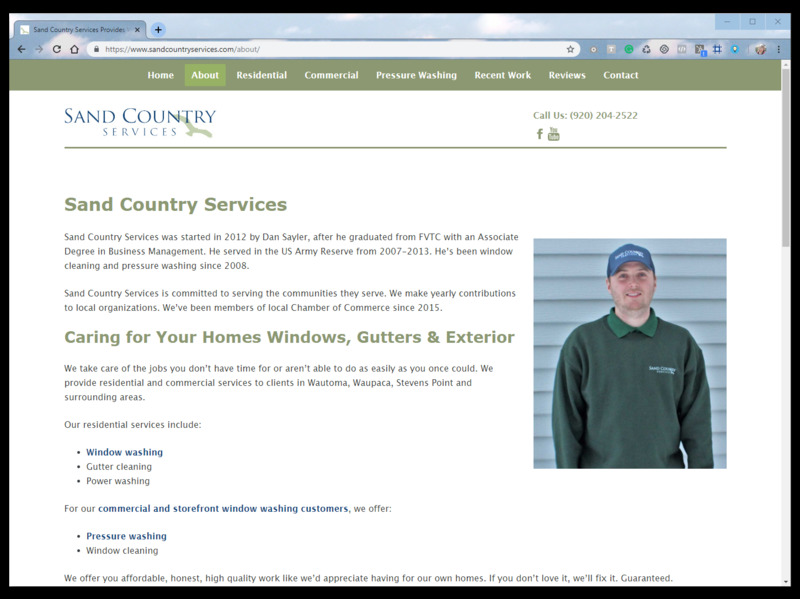 A professionally designed website is an excellent investment for your building maintenance business. The goal of your website is to get more paying customers. In order to do this, people interested in your services must be able to find you online. Home owners rely on all the businesses that provide vital services to maintain their home. Referrals are an excellent source of leads for businesses that maintain our homes and commercial buildings. Today's competitive market makes it vital to have a well-designed website to make your business look credible on the internet. Potential customers are likely to look at your website before giving you a call. 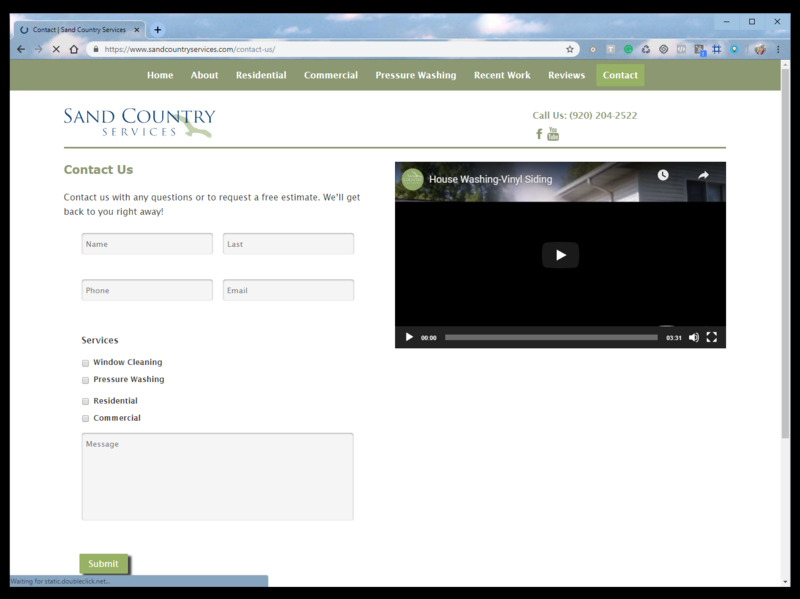 List all your services - You might be a pressure washing company but also clean windows. Create service pages for everything you do. Show off what you do - visual content is an excellent way for customers to see results. Get permission from your clients to take before and after photos you can showcase on your website. 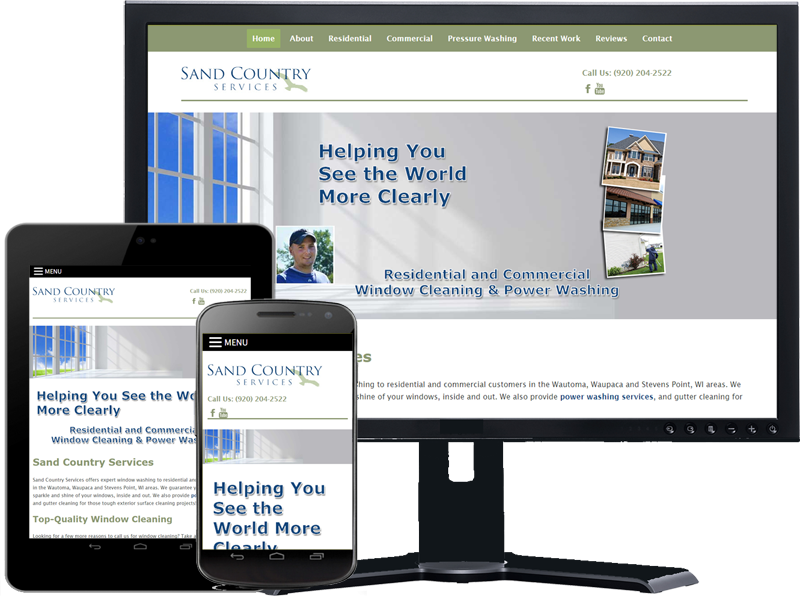 Sand Country Services reached out to Nerd Free Marketing because we knew what needed to be done for our website but didn't know how to make it happen. We were looking for ways to reach out to additional customers online. Nerd Free Marketing helped us by creating a search engine friendly website and by educating us on ways to further make our website visible across the internet. After building our new website and implementing an SEO strategy, we've seen an increase in customers. Professional Associations - These speak towards your credibility as a business. Be sure to include any you belong to on your website. Contact Information - be sure to include your phone number on your website. You can also add a contact form for your visitors to fill out. Answer Their Questions - what do your customers want to know? Be sure the information you add to your website answers questions they might have.